Jersey City, NJ – June 20, 2018 – TrialScope, the global leader in clinical trial transparency and compliance solutions, today announced that its Chief Strategy Officer, Thomas Wicks, will deliver a presentation titled “Develop Your Disclosure Dashboard — A Quick Guide to Global Transparency” at CBI’s 7th Annual Publication and Clinical Trial Transparency Conference on June 20 at 10:15 am CEST. The conference, which is also sponsored by TrialScope, will take place in Amsterdam, Netherlands, from June 20-21, 2018. What level of detail was disclosed? Was the data disclosed in accordance to law? In addition, Wicks will discuss specific global regulations – including those from the U.S. and EU – as well as provide a review of non-compliance issues and a preview of what’s next in global clinical trial compliance. TrialScope simplifies the complexities of clinical trial transparency. 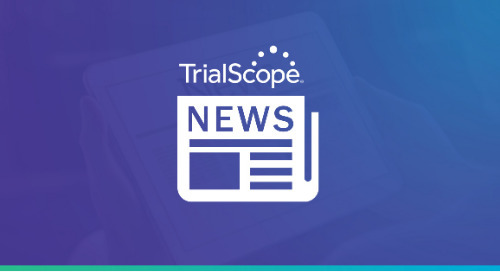 TrialScope’s award-winning, proven solutions have been implemented successfully and rigorously tested in the most complex environments and are managing disclosures for sponsors that are responsible for over 40 percent of industry sponsored clinical trials posted on clinicaltrials.gov. The Company’s market-driven solutions and expertise enable sponsors to improve performance, mitigate compliance risk, and ultimately optimize efficiencies with clinical content lifecycle management tools, expertise and processes. TrialScope technologies are offered via a validation-ready SaaS platform hosted in a private cloud. For more information, visit www.trialscope.com. The post TrialScope to Speak at CBI’s 7th Annual Publication and Clinical Trial Transparency Conference on Global Compliance appeared first on TrialScope.